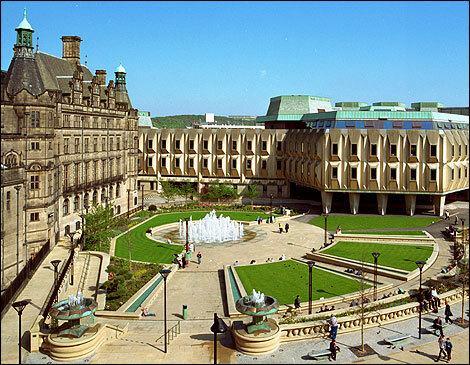 Sheffield town hall once had a huge extension, locals gave it a nickname ‘eggbox’. And in 2001-2002 it was demolished to make way for winter garden and St Paul’s complex. We talked about Castle Markets, he said it will be demolished this year, and move to another place about 20 mins away outside city centre. Then I asked about its future, he told me one of the possibilities is to remove existing markets and expose the foundation which is the old castle. He said there is no point to dig it out and no one would like to visit. This is a great informative article to know concerned about town hall. Several time I have faced this problem to buy this. However, Now I will try again. Now I'm a little busy with my online business about how to earn money online in Bangladesh without investment. After finish this project I will try again. naasong sebagai agen poker online uang asli terpercaya memberikan berbagai kemudahan untuk permainnya, bahkan dari pertama kali pendaftaran dan berikut ini ialah cara - cara daftar poker online yang sangat mudah dari izlanda untuk anda.